Dr. Jonathan Fader is a licensed performance and clinical psychologist. He served two seasons as the Director of Mental Conditioning for the New York Football Giants and also served as the team psychologist for the New York Mets for nine seasons. He is part of The New York City Fire Department (FDNY) Mental Performance Initiative. Fader is a frequent contributor to the national conversation on performance, regularly appearing on Good Morning America, CBS this Morning, CNN, Fox News, Bleacher Report and others. Represented by the Lavin Agency, he speaks to groups on improving performance. Learn how to elicit change and enhance motivation. Adaptive thinking for a changing world. 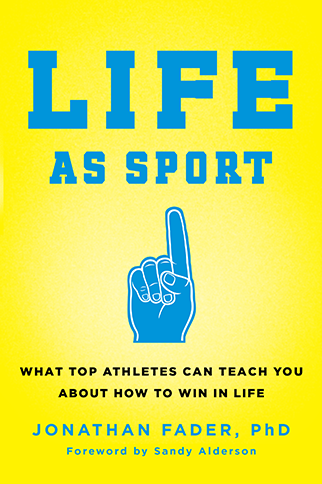 "In Life as Sport, Fader gives you a how-to manual for not only improving your performance in any endeavor, but more importantly, achieving your potential in life"